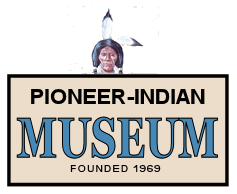 The South Umpqua Historical Society had its third quarterly meeting for 2015 at 2:00 p.m. August2, at the Pioneer Indian Museum led by Marilyn Chandler, Board member. The minutes were approved. The Treasurers report was also approved and accepted. The addition of the present Pickett Building is ready for the cement foundation and floor. We hope to be finished with the outside by the end of November. The Ford Foundation Leadership Project Cohort 2 Project, the wagon shed, is moving right along. Our wagons are ready and waiting. Good Doin’! Thank you, Thank you Lilja Fund. The Lilja Fund has sent us $10,000 for our 2016 utilities and book printing. Thank you so very much! We would also like to thank all of those individuals who have contributed to our funds. Our Pioneer Days were successful once again. Our Royal Court was wonderful. Canyonville Princess, Gracie Myers, told us about Narcissa Whitman, 1808. Our Riddle Princess, Catherine Blaschka, told us about Elizabeth Blackwell, 1821, first woman to get a medical degree. Our second Riddle Princess, Tessa Powell, told us abut Diana Block, 1868, who lived to be 104 years old. Great women, good job princesses. Jean Bradley and Joanne Sandstede, Clough family daughters, gave us a picture of Melvina Baker Stumbo Elliff, their great grandmother. 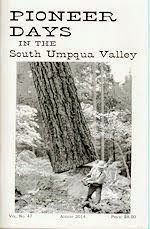 In our book by Bess Clough, Melvina tells of “walking up the big canyon” in 1853. Thank you, ladies. We have had many visitors this season. 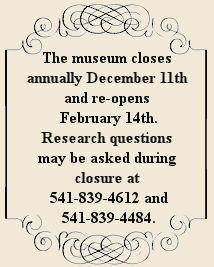 One lady from Mount Shasta thought this was a wonderful museum and that, this is the way a museum should look. Thanks! We also have two new members, Kristy Sperling, Canyonville, and Carol Reeve, who came to visit with her friends from their Senior Residence in Gresham, Oregon. Carol enjoyed learning more about her family who had the Red and White Store across from Promise Foods. We also have five other visitors who I believe are going to be staying a while. Our Ford Foundation Leadership Group Cohort 2 brought us 5 much needed mannequins for our displays. They look great, especially the cute soldier. Friday, October 2, members of the Historical Society went to the National Cemetery in Roseburg to honor and remember Zane Becker. Zane was a native Oregonian, grew up in Riddle and lived most of his 95 years in Canyonville. Zane’s best friend, Wes McCullah, went to Wake Island to build a Naval Air Base, so Zane joined him in June of 1941. As a result of December 7, and the bombing of Wake Island, the military and civilian construction crew assisted the military in defending the island, but were forced to surrender and Zane along with his friends spent 44 months as POWs in China and Japan. One of the men he met in the POW camp was Edwin Nye, the Science Guy. The war ended on Zane’s 25th birthday, August 15, 1945. In 1981, after many years of working through the Survivors of Wake, Guam and Cavite Group, Zane and his fellow surviving POWs were granted retroactive veteran status in the US Navy. Zane was proud to show his love for the U.S. and proud to display his WWII medals. Zane was also quite the guitar player. The second Chet Atkins. Thank you Zane, for your love of America! AT THE MASONIC LODGE ON PINE ST, across from the Napa Store. Daylight savings time is ending on Nov. 1. Don’t forget to set your clocks back.